Stop motion animation: Kawaii sushi. Sushi by Benjamin Ang (GIF by Nathan W. Pyle). My parents are currently living in Tokyo, Japan. This past summer I took a trip to visit them and get a peek at what their life looks like. Knowing my parents and their proclivities for Japanese cuisine, the trip began with a comprehensive tour of Tsukiji Fish Market, the biggest wholesale fish and seafood market in the world. I tasted some of the best sushi I’ve ever tasted outside the market. I also was introduced to “kawaii culture” in the form of adorable sushi cartoons with button noses and big eyes. I was surrounded by these kawaii artifacts in Japan and I became interested in how the practice tends to anthropomorphize inanimate household objects such as food. 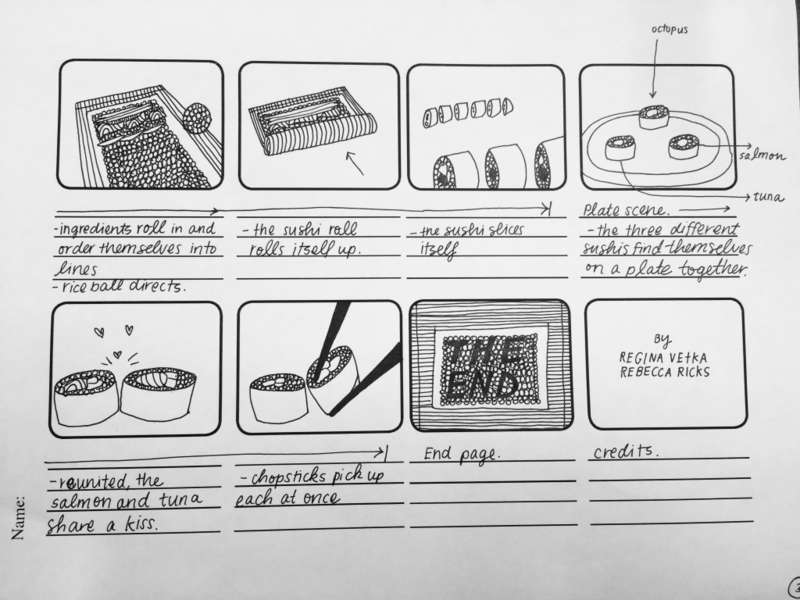 Example of a sushi animation from Lainey on Vimeo. 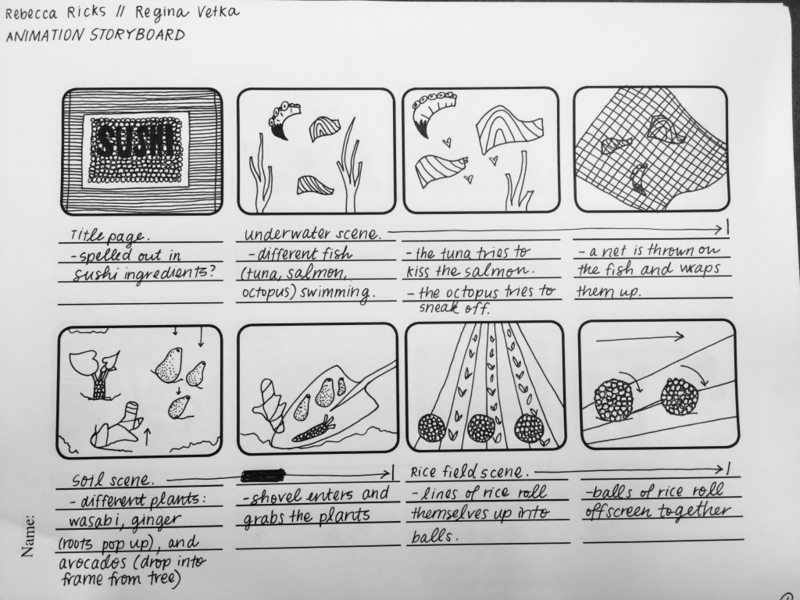 When we started discussing what types of materials we would like to include in our stop motion animation, my partner Regina and I decided we wanted to work with food. 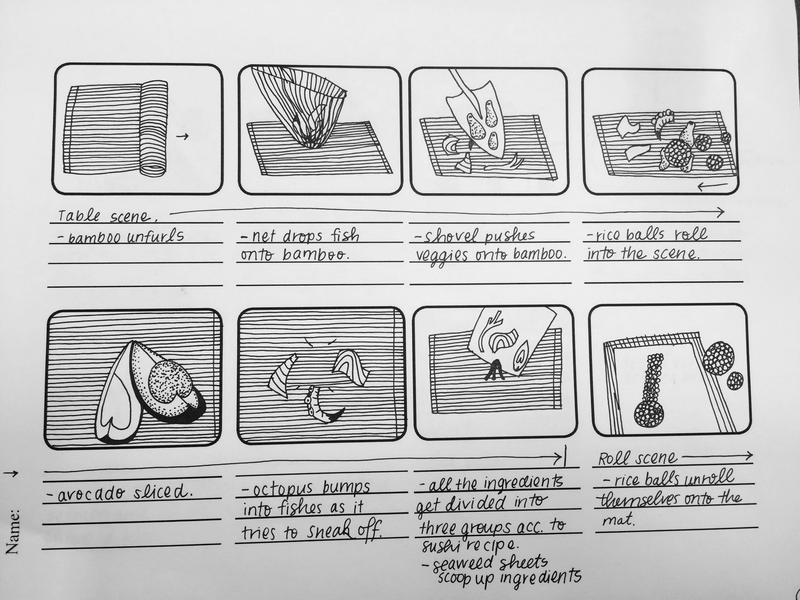 At first we thought about the different textures of candy and sugar, but finally we fell in love with the idea of using sushi ingredients in an animation in which the sushi “makes” itself. We thought about the different “characters” that would be involved in the animation: raw salmon, raw octopus, raw tuna, rice balls, sesame seeds, avocados, etc. The characters will be ascribed with human characteristics. For instance, we imagined the octopus to be mischievous, the tuna flirty, and the rice balls authoritative.